This is my first tattoo. It's on my right shoulder blade. 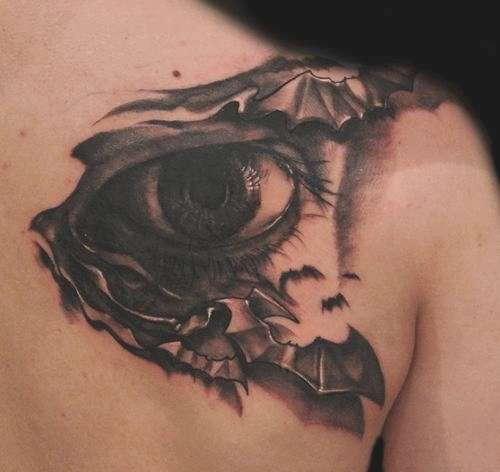 It was done by Tofi (http://www.fotolog.com/tofi_tattoo) in Rybnik, Poland. Took about 4 hours. Love this design. The tattoo itself turned out great too. very nice, deserves a higher rating for sure.